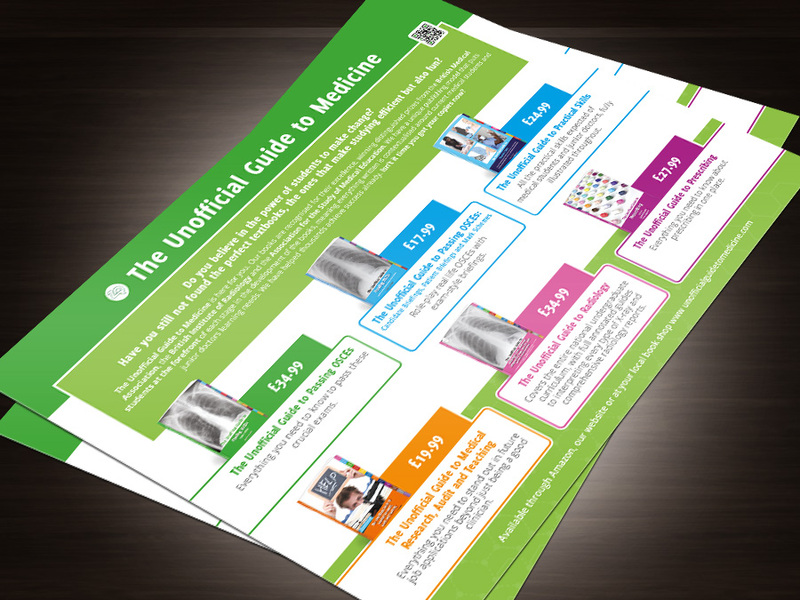 The Unofficial Guide to Medicine print design project is a series of promotional materials. The flyers are for use in colleges, universities and exhibitions. There are also print ads with similar layouts and use the current line up of Unofficial Guide to Medicine books with the corresponding colour palettes. The UGTM team are often present at Freshers week with the stands and promo flyers. The adverts usually go into student handbooks. The Unofficial Guide to Medicine series of books are an award-winning publishing model that lets students decide how they learn. Junior doctors and medical students produce and develop the core learning materials. The books relay relevant information in an easy-to-understand format.